Dr. Steven M. Balloch is one of the nation’s true pioneers in cosmetic dentistry, with decades of experience and a long history of satisfied patients to his credit. However, he has always emphasized to his patients the fact that an aesthetically appealing smile must be built on a foundation of strong oral health. 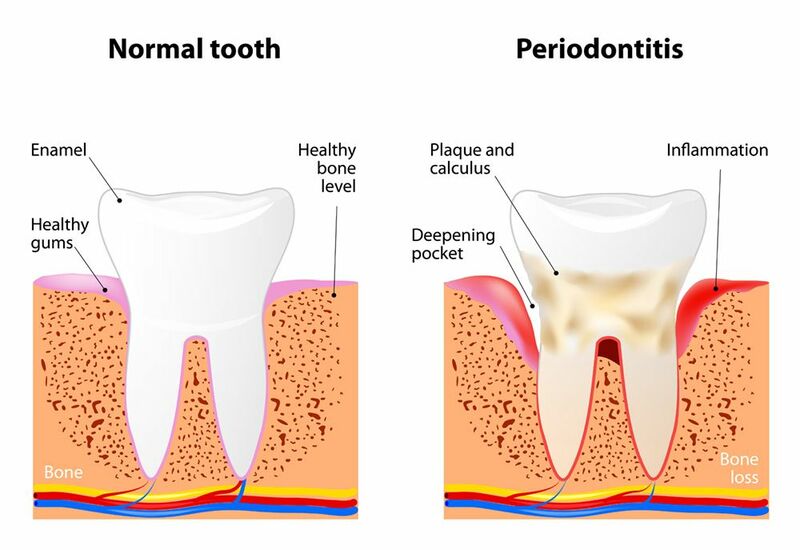 This is why he offers a comprehensive range of general and preventive dentistry treatments, including periodontal care designed to improve and preserve the health of the gums and prevent gum disease. Dr. Balloch is careful to stress the importance of gum disease prevention during consultations at his Hartford, CT cosmetic, restorative, and general dentistry practice. Whether patients are coming to him with perfectly healthy gums or are in need of periodontal care, he strives to provide them with the information they need to avoid gum disease moving forward. Simply stated, gum disease is one of the most insidious of all diseases, not to mention the absolute most prevalent, affecting approximately 75 percent of all adults to varying degrees. Tragically, it is also the number-one cause of tooth loss among American adults. Under the care of Dr. Balloch, you can rest assured that you will be provided with the care you need to achieve and maintain optimal gum health. We invite you to read the following tips on how to prevent gum disease and then contact us to schedule your initial consultation with Dr. Balloch. Brush and floss properly: Be sure to brush and floss at least twice a day and after every meal. Brush all of the surfaces of your teeth, as well as your tongue. Brushing properly involves the use of gentle force with a soft-bristled toothbrush, by the way; using greater force could cause enamel erosion, which could increase your risk of tooth decay and gum disease. Use an antimicrobial mouth rinse: Use of such a mouth rinse will help to combat plaque bacteria and remove particles of food and debris that you missed through brushing and flossing. Know your risk for gum disease and discuss it with Dr. Balloch: You are at increased risk of gum disease if you are pregnant, have diabetes or high blood pressure, are a smoker, or have bruxism (i.e., you chronically grind your teeth). You are also at increased risk if gum disease runs in your family. If any of these risk factors apply to you, discuss your heightened risk with Dr. Balloch. Together, you can arrive at strategies to lower your risk for gum disease. Visit our practice twice a year for periodontal screenings and professional cleanings: Even people with the most stringent brushing and flossing routines will remain susceptible to gum disease if they don’t visit the dentist twice a year as recommended by the American Dental Association. There are areas of your mouth where your toothbrush and floss simply cannot reach. Plaque can accumulate there and harden into a substance called tartar. Only a dental professional can remove tartar and return the mouth to an ideally clean and healthy state. If left unremoved, tartar will cause gum disease. Regular dental visits will also allow gum disease to be diagnosed in its earliest possible stages, when it is easiest to treat. To learn more about gum disease prevention, please contact our cosmetic, general, and restorative dentistry practice today.